When John Woo originally wrote the story for ‘A Better Tomorrow 3’, it would be a prequel that tells the story of how Mark Gor and Ho made their fortune to start their business. 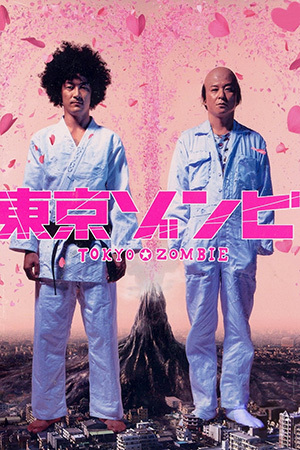 However Woo and producer Tsui Hark went their separate ways and Tsui made his own version of ‘A Better Tomorrow 3’. Woo’s story sequentially had alterations made to it and would become ‘Bullet in the Head’. Three friends growing up in the back streets of Hong Kong have aspirations to become successful and make better their lives. On the wedding night of Bun (Tony Leung Chiu Wai) and Jan (Fennie Yuen), they don’t have enough money to pay the costs. 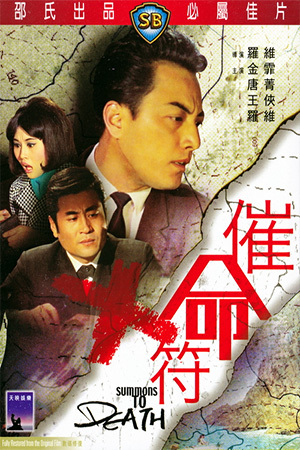 Fai Jai (Jacky Cheung) obtains the money but is attacked by a local gangster. Fai manages to fend off the attack still clutching the money but not without sustaining a head injury. After the celebrations have ceased Bun interrogates Fai about the injury, and on discovering the cause the pair launch an attack on the gangsters. However they go too far an end up killing the head of the organisation. Now wanted by the police, gangsters and loan sharks alike, they are left with no alternative but to flee Hong Kong. They decide to take this opportunity to make their fortune by selling pain killing drugs in war torn Vietnam and bring the third member of their trio, Sau Ming (Waise Lee) along to share in their success. Their priorities change however when they recognise Yan Sau Ching (Yolinda Yam), a Hong Kong singer whom is forced to work for the local gang lord Y.S. Leong (Lam Chung). 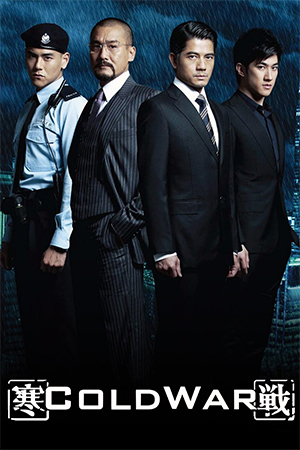 They then team up with Lok (Simon Yam) in an attempt to rescue her, though Ming’s priorities remain firm and is unwilling to leave without Leong’s gold. 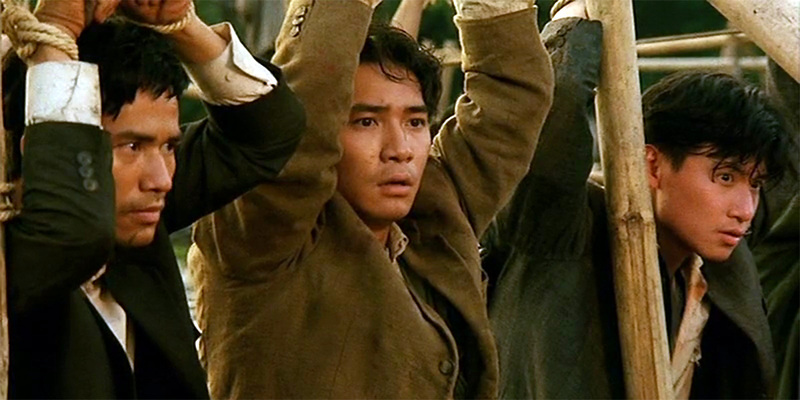 After Yan dies of a gun shot wound sustained in the rescue, Bun, Fai and Ming stray into North Vietnamese territory and find themselves in a POW camp. Our protagonists must now battle for survival. ‘Bullet in the Head’ was a very expensive and ambitious project for the Hong Kong film industry at the time. Sadly it failed to make an impact at the box office as the public rejected a film with such a downbeat sensibility, especially in the wake of the Tiananmen Square Crackdown, an event which would influence Woo in his execution of the film. A great shame as this very personal project is one of Woo’s finest moments. 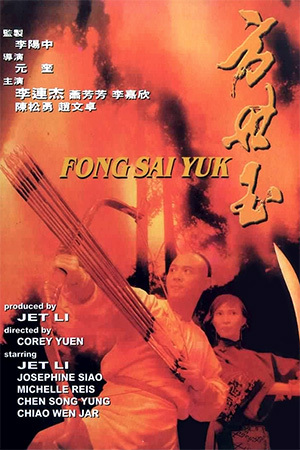 One could speculate if Chow Yun Fat had been in the cast (as was intended when it was originally written), as to whether his presence would have coaxed enough punters to see the film in order to re-coup the money spent. 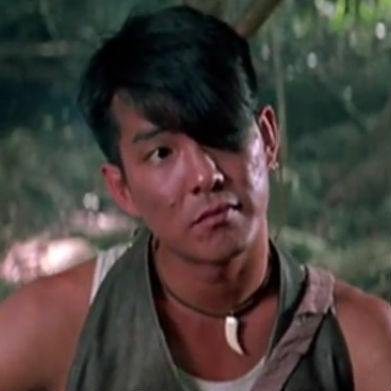 However, Tony Leung Chiu Wai and Jacky Cheung were hired and at the time neither were known for dramatic roles, as Tony had done mainly comedies and Jacky was known primarily for his singing career. ‘Bullet in the Head’ would prove to be the film to make them both bankable dramatic actors as both take the bull by the horns and produce some astounding results. Jacky Cheung received a well deserved nomination for best actor at the Hong Kong film awards for his efforts. Tony would of course go on to be one of the most respected actors of the last 15 years. Simon Yam was also just beginning to come into his own as he delivers a delightfully measured, mature and, above all, cool performance. 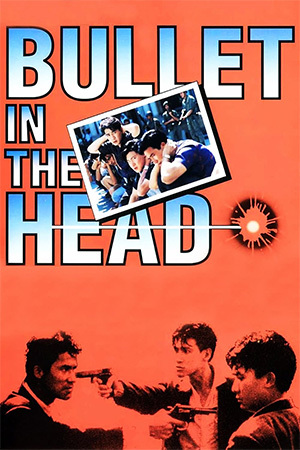 Taking our protagonists from small time street punk antics to street riots, taking on an organised crime syndicate and inadvertently playing their own little part in a brutal war as they find themselves in a POW camp, ‘Bullet in the Head’ certainly takes it’s audience on a journey. As the film nears it’s end you are likely to feel emotionally drained as you will feel as if you have experienced the ordeal along with our protagonists. Woo gives us a tale of brotherhood, loyalty, tragedy, redemption, greed, corruption and betrayal. At times harrowing, ‘Bullet in the Head’ is equally compelling. No John Woo picture of the period would be complete without lavish gun battles, and ‘Bullet in the Head’ is no exception. Although we are not subjected to anything as outlandish as was displayed in ‘The Killer’ one year earlier. This would have much to do with the poignant and almost depressing subject matter. Though what we are left with still leave most standing idle. Throw in a superb soundtrack and you have an all time classic in the making. I have one major criticism however. The original boardroom ending was replaced after being deemed too bleak. This was then replaced with an all action car chase ending. While there is nothing inherently wrong with the sequence itself, it is unsuited to finish this particular film. This film was meant to have a sudden, hard hitting ending. One that would resonate in the minds of the audience long after they had left the theatre. What we are left with is a drawn out action sequence that allows the emotion that has built up during the course of the film to dissipate before the end credits roll. The original negatives for the boardroom ending unfortunately seem to be lost and the only known version with this ending is the now deleted Mei Ah VCD. Therefore the chances of it being re-instated seem highly improbable. Despite my criticism about the final sequence, ‘Bullet in the Head’ still packs an enormous emotional punch and is very much one of the all time classics of Hong Kong cinema. A must have for any serious collector.